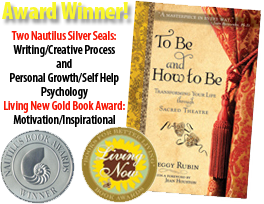 She is working with Lynne McTaggart, the wise woman of The Intention Experiment, and The Power of Eight. World wide outreach for global inspiration and change, beaming and streaming from the Palace for Spiritual Arts, which also happens to be the largest theatre on Broadway. 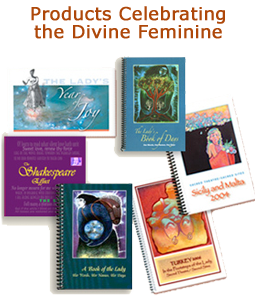 Closer to home, Jean is offering a series of salons in her mythic house: one is a revisit of a favorite: The Magus, The Mystic, The Shaman, and The Sage. Others will include “Touching Time,” and several new themes offering deep studies and three-month mentoring. Visit her at jeanhouston.com, and enroll on her mailing list. As Meridian University’s Chancellor, Jean continues to emphasize Social Artistry, the interchange between personal growth and social transformation. This amazing graduate school, a product of two brilliant far-sighted people, Melissa Schwartz and Aftab Omer, lasers in on transformational learning in all its psychological and mythic potencies. 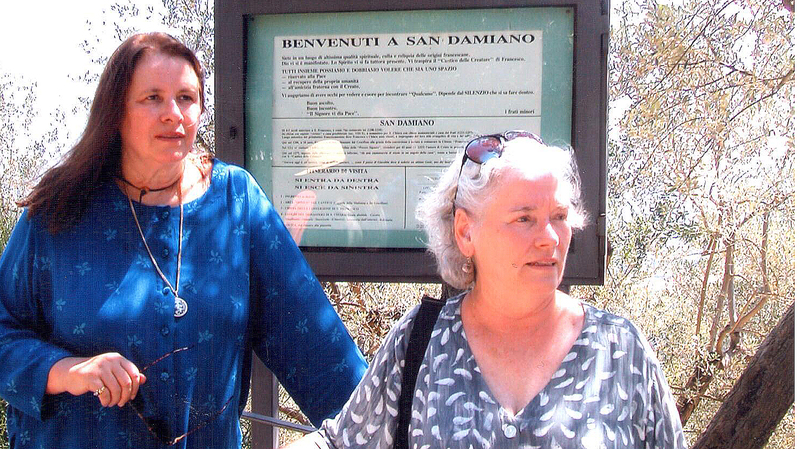 Shown above: Jean and I overlooking the fields around St. Clare’s monastery at San Damiano in Assisi, 2003.